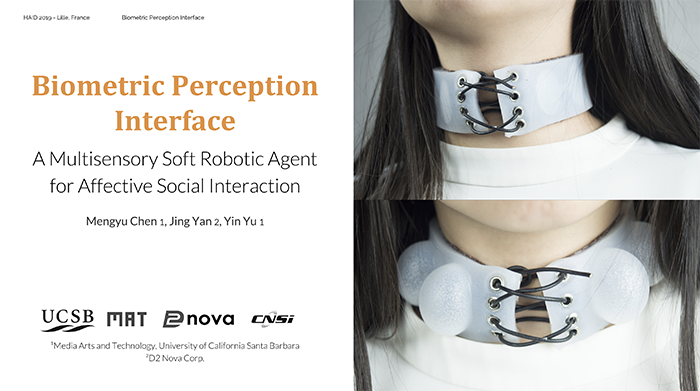 MAT PhD students Mengyu Chen, Yin Yu, and MAT alumni Jing Yan (MSc 2018) presented a paper titled "Biometric Perception Interface: A Multisensory Soft Robotic Agent for Affective Social Interaction", and its demo, Biometric Perception Interface, at the International Workshop on Haptic and Audio Interaction Design (HAID 2019), March 13th - 15th 2019 in Lille, France. 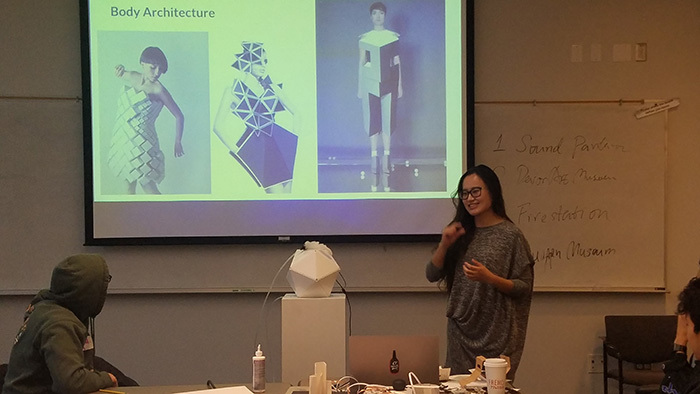 MAT PhD student Yin Yu taught a winter course titled "Experiencing Digital Architecture and Computer Music through Virtual Reality" to high school students from The School for Scientific Thought (SST) program of the Center for Science and Engineering Partnerships (CSEP) at the California NanoSystems Institute (CNSI) at UCSB, February - March, 2019. An installation titled "Fragile Safari" by MAT professor Marko Peljhan and media artist Matthew Biederman is on exhibit at the Paved Arts gallery in Saskatoon, Saskatchewan Canada, September 14 - October 20, 2018. "Only an alert and knowledgeable citizenry can compel the proper meshing of the huge industrial and military machinery of defense with our peaceful methods and goals, so that security and liberty may prosper together" - Dwight David "Ike" Eisenhower, January 1961. MAT PhD candidate Jieliang (Rodger) Luo presented his work "Human Portrait Decomposition" at IEEE VIS 2018 from October 23rd to 25th in Berlin, Germany. In collaboration with Sam Green, a UCSB Computer Science PhD. candidate, Jieliang Luo presented "Human Portrait Decomposition" at IEEE VIS 2018 Art Program, which took place in Berlin, Germany from October 23rd to 25th. 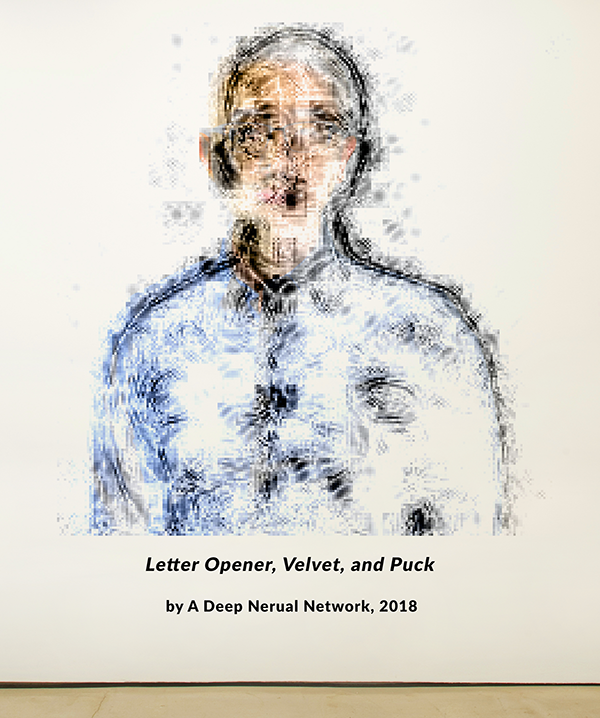 Decomposition of Human Portraits aims to evoke awareness of the fragility of our digital identities managed under intelligent machines, by presenting how a solid and well-trained system may falsely interpret human portraits. The project is under the supervision of professor George Legrady, with contributions from MAT Masters student Lu Liu (UX design). MAT PhD student Sihwa Park will present a paper titled "BeHAVE: a Heatmap-based Audiovisual Representation of Personal Data" and it's installation, BeHave, at the 44th International Computer Music Conference (ICMC), August 5th - 10th 2018 in Daegu, Korea. 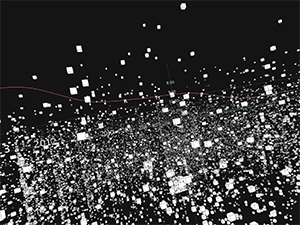 This paper presents BeHAVE, a web-based audiovisual piece that explores a way to represent personal behavioral data in a multimodal approach, by visualizing and sonifying this data based on the form of a heatmap visualization. 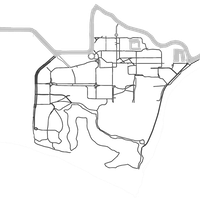 As a way of typical visualization, it shows the location and time records of the author’s mobile phone use as clustered circles on an interactive map. 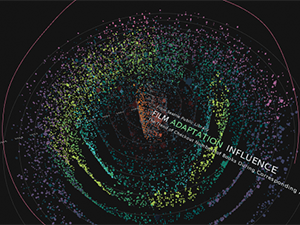 In order to explore all of the data sequentially in a short period, it also transforms a year of data into sound and visuals based on a microsound timescale. By suggesting this multimodal data representation as a means of revealing one’s personality or behavior in an audiovisual form, BeHAVE attempts not only to improve the perception and understanding of self-tracking data but also to arouse aesthetic enjoyment. MAT Phd student Qiaodong Cui will present his work "Scalable Laplacian Eigenfluids" at SIGGRAPH 2018. August 12-16 in Vancouver, Canada. We show how to make Laplacian Eigenfunctions for fluid simulation faster, more memory efficient, and more general. We surpass the scalability of the original algorithm by two orders of magnitude. 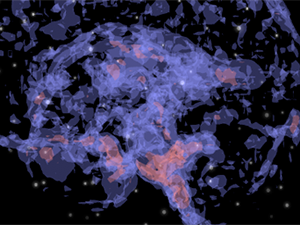 MAT PhD Candidate Sölen Kiratli and MAT alumni Akshay Cadambi are exhibiting their Interactive New Media Installation "HIVE", at Currents New Media in Santa Fe, New Mexico, June 8 - 24. MAT PhD candidate Jiayue (Cecilia) Wu has been appointed to a tenure-track position as Assistant Professor in recording arts at the School of Arts and Media at the University of Colorado, Denver campus. 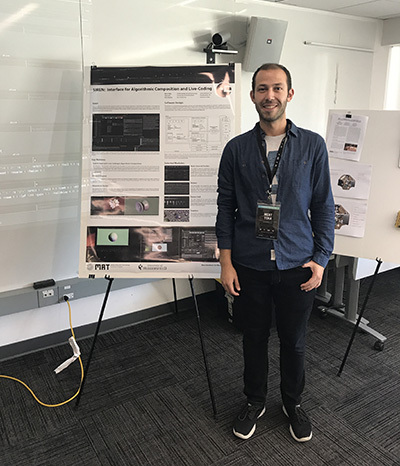 MAT Master's student Mert Toka presented his live-coding interface "Siren" at the 2018 New Interfaces for Musical Expression Conference (NIME). 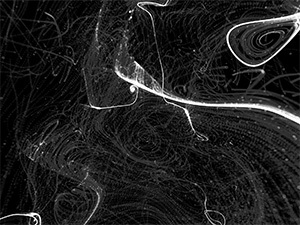 June 3-6 2018, Blacksburg, VA.
Siren is a software environment for exploring rhythm and time through the lenses of algorithmic composition and live-coding. 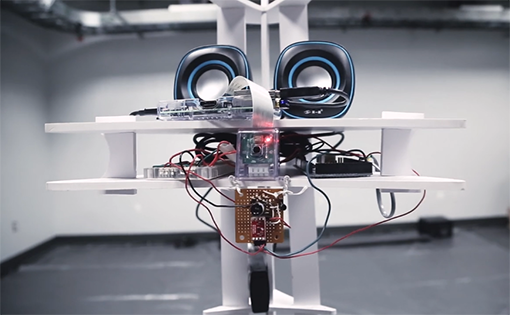 It leverages the virtually unlimited creative potential of the algorithms by treating code snippets as the building blocks for audiovisual playback and synthesis. Employing the textual paradigm of programming as the software primitive allows the execution of patterns that would be either impossible or too laborious to create manually. The system is designed to operate in a general-purpose manner by allowing multiple compilers to operate at the same time. Currently, it accommodates SuperCollider and TidalCycles as its primary programming languages due to their stable real-time audio generation and event dispatching capabilities. Harnessing the complexity of the textual representation (i.e. code) might be cognitively challenging in an interactive real-time application. Siren tackles this by adopting a hybrid approach between the textual and visual paradigms. Its front-end interface is armed with various structural and visual components to organize, control and monitor the textual building blocks: Its multi-channel tracker acts as a temporal canvas for organizing scenes, on which the code snippets could be parameterized and executed. 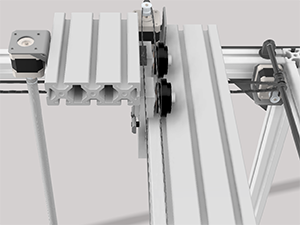 It is built on a hierarchical structure that eases the control of complex phrases by propagating small modifications to lower levels with minimal effort for dramatic changes in the audiovisual output. It provides multiple tools for monitoring the current audio playback such as a piano-roll inspired visualization and history components. MAT PhD candidate Jiayue (Cecilia) Wu presented her audio/visual piece "Mandala" at the 2018 National Conference of the Society for Electro-Acoustic Music in the US (SEAMUS). The event this year was held from March 29-31 at the University of Oregon School of Music and Dance in Eugene Oregon. The piece will also be performed at Stanford University and Mills College during the California Electronic Music Exchange, April 5-7, 2018. An exhibition by MAT professor George Legrady titled "The James Bay Cree in 1973" will be on display in the Art and Architecture Hall of the UCSB Library from January 18 - June 2, 2018. 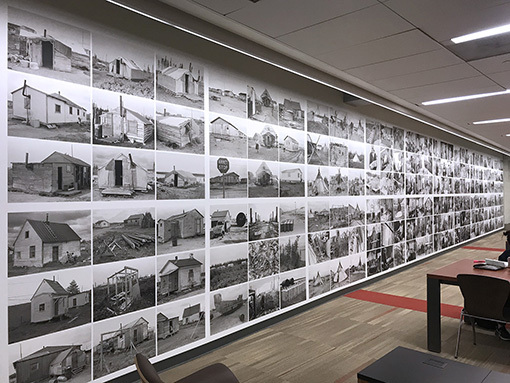 The exhibition consists of a wall of 180 photographs organized in 20 thematic clusters of images showing the way of life in 1973 in four James Bay Cree villages in the Canadian sub-arctic. 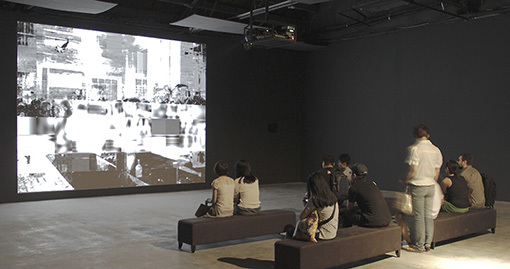 The exhibition also includes 2 large screens featuring video documentation by Andres Burbano of village scenes recorded during two return trips in 2012 and 2014. In 1973, the Cree invited professor Legrady to photo document their daily life, as a way to strengthen their negotiations with the Canadian government over land rights. At the time, the Québec government had plans for a hydroelectric project that would flood a significant area of Cree land in the James Bay. Although the project went forward, the Cree were able to leverage the issue and negotiate self-governance, improving their political and social position within Québec. A panel discussion will be held on Thursday, January 18, at 4pm, in room 1312 of the UCSB Library, followed by a reception and exhibition walk-throughs. An article titled "Wired for Sound" was published in the UCSB news magazine "The Current", that explores the research of MAT PhD student Hannah Wolfe. 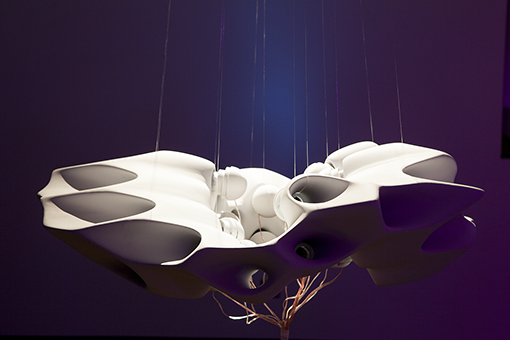 Hannah Wolfe's robot "ROVER", studies the nature of human-robot interactions. 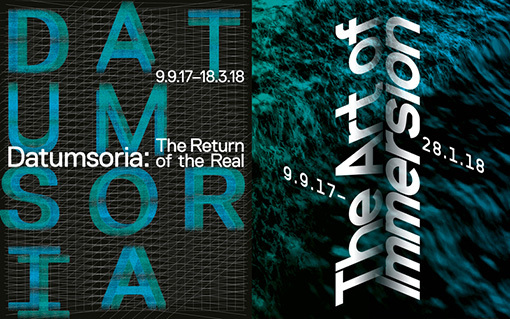 MAT professor George Legrady will present his work "Voice of Sisyphus" at the exhibition "Datumsoria: the Return of the Real", at the ZKM Museum, Karlsruhe, Germany. The exhibition will be on display from September 2017 until March 2018 at the Zentrum für Kunst und Medien (Center for Art and Media), one of Europe’s most important digital media arts museums. "Voice of Sisyphus" consists of a large projection of a black and white photograph taken at a formal ball, an image reminiscent of the staging of the Alain Resnais film "Last Year in Marienbad". 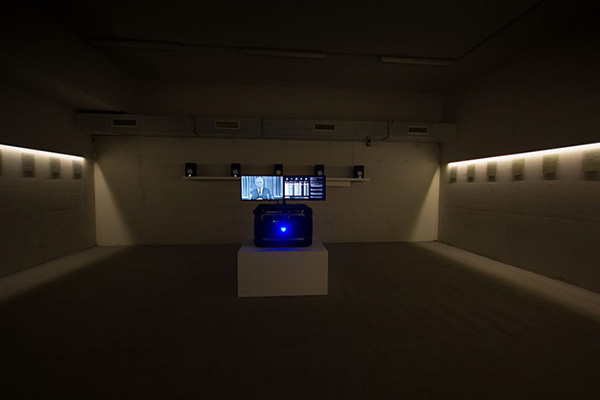 Custom software was developed that unfolds in 8 audio-visual phases, each with a specific set of image segmentation, filtering, and animation, translating the pixel data into a continuous 4 channel sonic experience distributed through the four corners of the exhibition space. 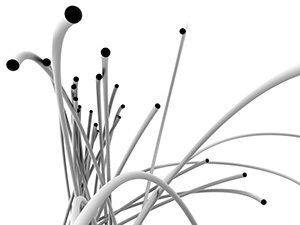 Production credits include: George Legrady (concept and project development), Ryan McGee (image analysis, sound synthesis and spatialization software), and Joshua Dickinson (audio-visual composition software). MAT PhD candidate Jiayue Cecilia Wu has been awarded an Arthur M. Sackler Graduate Student Fellowship from the National Academy of Sciences. She will present a talk titled "Promoting Underrepresented Cultures through Multimedia Arts Collaboration" at the student fellows symposium "Role/Play: Collaborative Creativity and Creative Collaborations", at the National Academy of Sciences, Washington DC, March 12-14, 2018. MAT and RE Touch Lab researchers will present five papers as part of the technical program of the IEEE Haptics Symposium, March 2018, in San Francisco, USA. B. Dandu, I. Kuling, Y. Visell, Where Are My Fingers? Assessing Multi-Digit Proprioceptive Localization. Proc. IEEE Haptics Symposium, 2018.